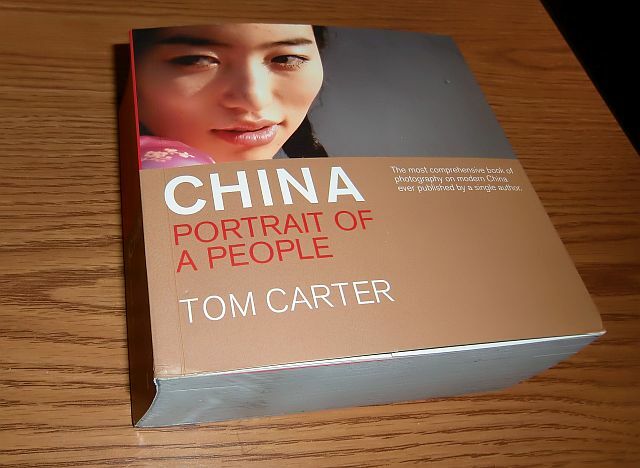 "China - Portrait of a People"
Published in Hong Kong by Blacksmith Books in 2008 and re-released in 2012, “China” is way more than a coffee-table book. Photographed while backpacking over two years, it captures people, landscapes and structures in the country’s 33 provinces. It is not a book to peruse in one sitting. Composed of 800 color photographs across 638 pages, it is an honest reveal of life in cities, back roads, desert climes and subtropical jungles. The book is available from Amazon. To see and hear Carter, check out this video. It starts with him in a classroom where he was teaching English. From it you understand he has a sense of humor and appreciates the importance of the individual. World War II WAC Mollie Weinstein Schaffer takes readers from Michigan to California and on to England, France and Germany. But the book is not a travelogue. 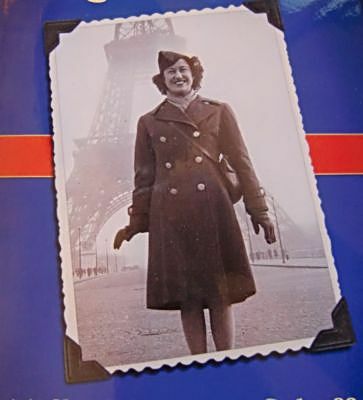 Told through the letters she had written home and received from relatives and other correspondents, it is about the challenges of a young woman in medical intelligence who grapples with military restrictions, war conditions and what it is like to be one of a few females among, well, an army of men. In an effort not to give out information that might worry her parents or alert the enemy as to military positions and intentions or be stopped by military censors who read the mail, she dwells on romantic relationships, friendships, requests for sweets and toiletries and living conditions. But she also tries to be upbeat. The picture that emerges is of a young, spirited, intelligent woman who has numerous choices to make that include abiding by her Jewish upbringing amidst the turmoil of a beleaguered England, France right after the Allied invasion and Germany after VE Day. It is also a picture of WWII WACs. That these women were very important to the war effort though often ignored in tales of WWII, is well explained in an introduction by Leisa D. Meyer, associate history professor at William and Mary College. Mollie Schaffer (nee Weinstein) now lives near daughter Cyndee Schaffer, a Northbrook writer who compiled the letters. Cyndee Schaffer added the text that introduces each chapter and some of the correspondence. “Roadside Baseball” (2003, Sporting News division of Vulcan Sports Media, Inc, St. Louis, MO, $16.95) by Chris Epting, maps out places where fans can find historic traces of a stadium, a home plate, a players’ home and a museum that recounts memorable moments. An ardent researcher and appreciator of baseball and interesting culture landmarks, Epting divides up the places he has uncovered by geographic locations across the United States and into Canada. All a baseball fan has to do when traveling to Florida or Arizona to escape winter weather or to any US destination to see friends or family is leaf through a state’s chapter to see what historic baseball location is nearby. Consider this a warning. Don’t read Hollywood Stories, a practically bottomless well of rich anecdotes collected by Stephen Schochet, if alone. You will come upon a funny bit about two comedians such as the anecdote where George Burns is playing golf with Harpo Marx that is so good you will want to share it. No, I won’t tell you what happens . Then, you will find yourself saying “I didn’t know that” when you read how a now famous actor got his start. And you will want to tell someone. Luckily, I started reading the book evenings after other writing assignments were done. When I read during lunch and breaks. I had to find out what tidbits Schochet had found on Star Trek, Walt Disney and Disney characters and John Wayne plus stories about where stars lived and played. However, no one was around to hear my latest find -make that Schochet’s find. The author, a Hollywood tour guide, has been collecting stories for about 20 years. He tells many of them to his tour customers and on his syndicated Hollywood Stories radio feature. Arguably, the next best thing to hearing him tell the stories is to read them. They are a welcome time off from work and hard news. Yes, the book has Hollywood in the title but the TV stories here seemed to fit well because the stars often lived in California or interacted with movie people. Readers who want more info on a particular star need only look in the Bibliography. Schochet lists his sources. To see how the author looks and sounds go to a TV interview available on UTube. 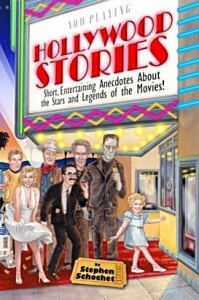 Hollywood Stories (Hollywood Stories Publishing, Los Angeles, CA $24.95 list, $17.96 online) is available at Amazon and Barnes & Noble.